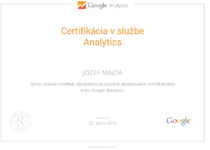 My name is Jozef Majda. 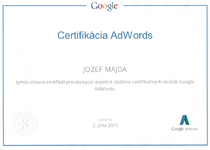 I have experience in sales, but over the past 5 years, I have branched out doing freelance work, specifically creating Google Adword campaigns for companies....Read moreMy name is Jozef Majda. I have experience in sales, but over the past 5 years, I have branched out doing freelance work, specifically creating Google Adword campaigns for companies. I was Born and raised in Slovakia, I have studied abroad in several different countries, in order to improve my English skills. Along with a background in Philosophy, I can wax poetic on social issues in several different languages! Apart from that, I have an extensive background in website design (HTML based), as well as understanding the ins and outs of effective Adword campaigns. I also have 4+ years experience in a sales position, researching potential clients and presenting and promoting product directly to the clients. A background in sales gives me a unique point of view to handle your Ad words campaign. Normally, you someone with a marketing background would handle this type of thing, and that is all well and good, but who knows better how to effectively SELL your product to the end-user, than a SALESPERSON? I not only can identify your target demographic, but I understand how to most effectively sell your product to that demographic. I work closely with every customer on each campaign, in order to deliver the best, most personalized product possible. All that is happening here is the installation of a plugin. I was under the impression it would include some support as far as fixing plugin errors, however, there is none. Be warned, the installation of a plug in alone DOES NOT meet google guidelines in the least. 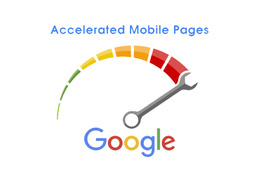 Client website after optimisation passed the googele amp test, client website passed the amp test via amp google test.